The survey comprised 10 questions and asked if the respondent had heard of BIAB, and if they had used BIAB. If they had used it they were asked some further questions about how and when they used it as well as what they most valued about it. Both users and non-users were asked what other bibliographic resources they used. 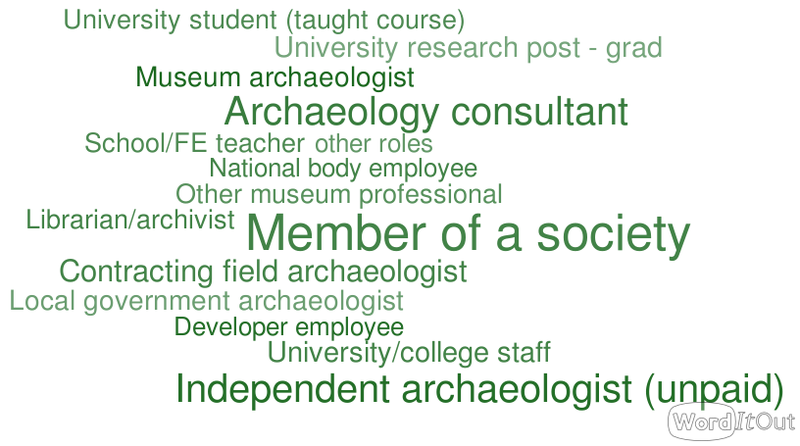 They were also asked about their role within archaeology and the historic environment and which country they lived in. The survey was available for approximately one month over the end of July and August 2015. 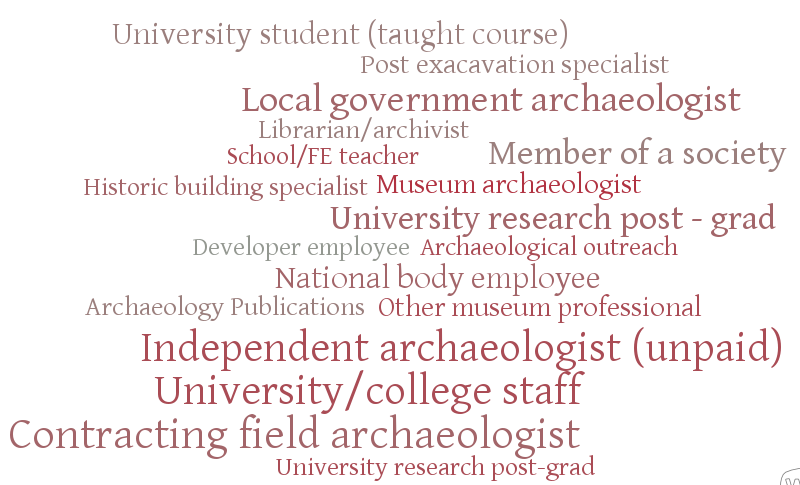 The response rate was impressive considering that this is traditionally a quiet time in the archaeological community. There were over 600 responses to the survey from a variety of backgrounds. The following tables and images summarise the findings of the survey. Figure 1: Representations of the roles of the survey respondents. The larger the text size of a role the more of respondents indicated it was their role. The full survey results can be downloaded here!